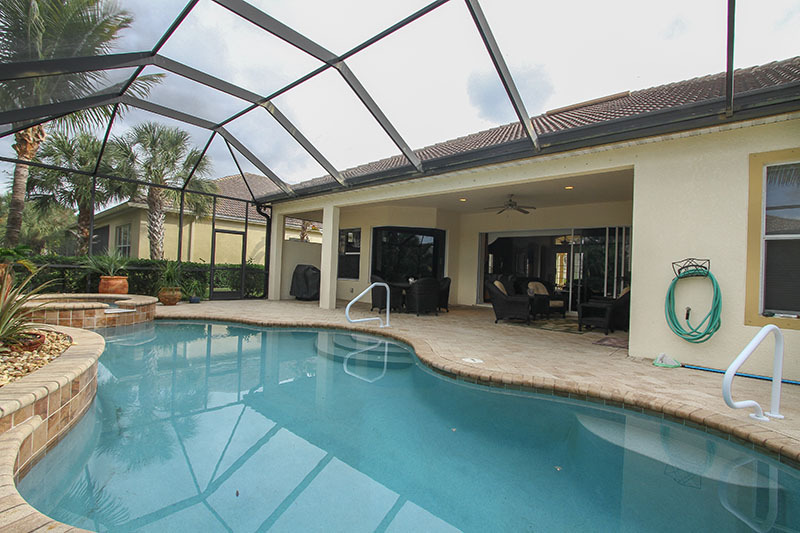 Come experience Southwest Florida living and relaxed luxury in this 2 bedroom, 2 bath private home with a den on a quiet cul-da-sac. 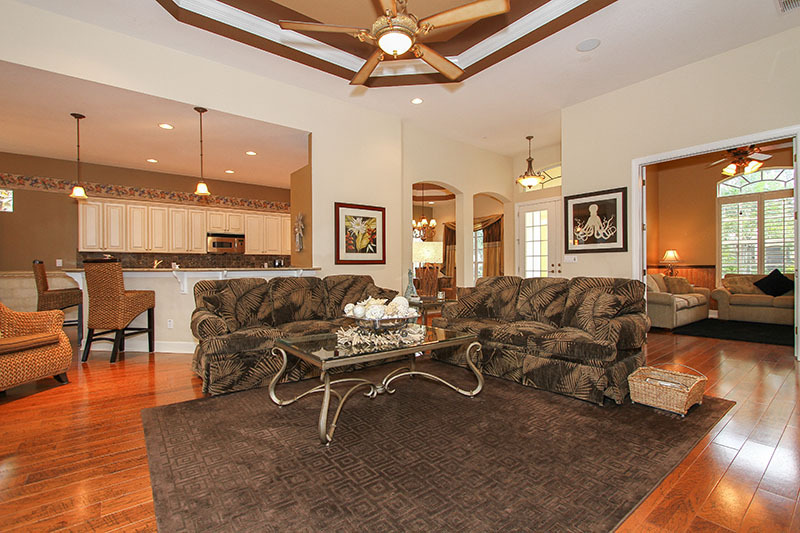 The home features vaulted tray ceilings with designer inspired colors. 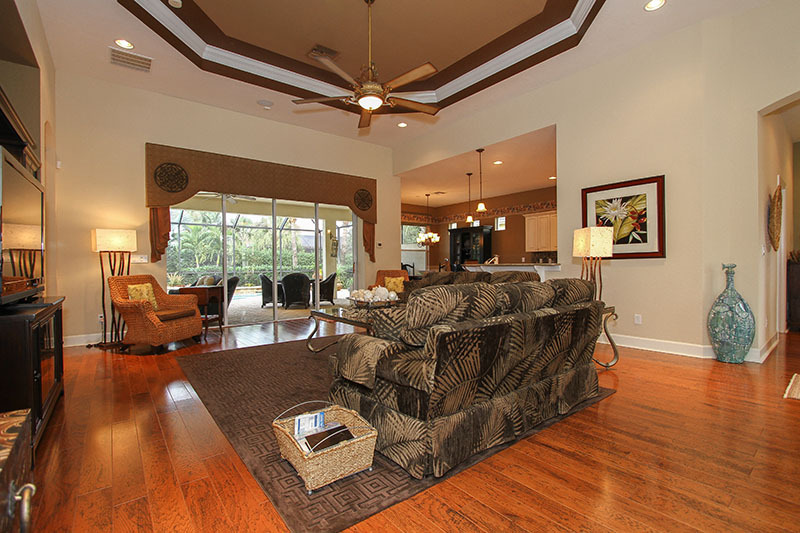 The living room has a 50" flat screen TV and overlooks the lush pool area. 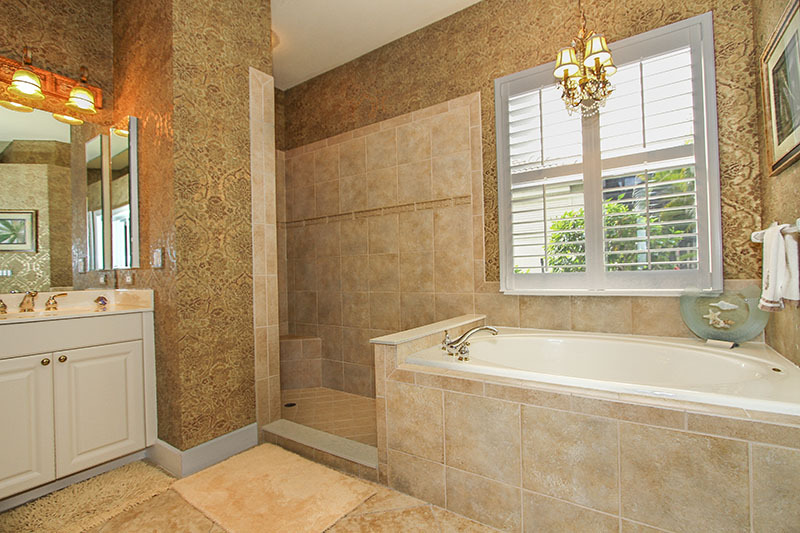 The master bedrooms offers a king bed with en-suite master bathroom with his and her closets and a wall mounted TV, ideal for relaxing in the garden tub. 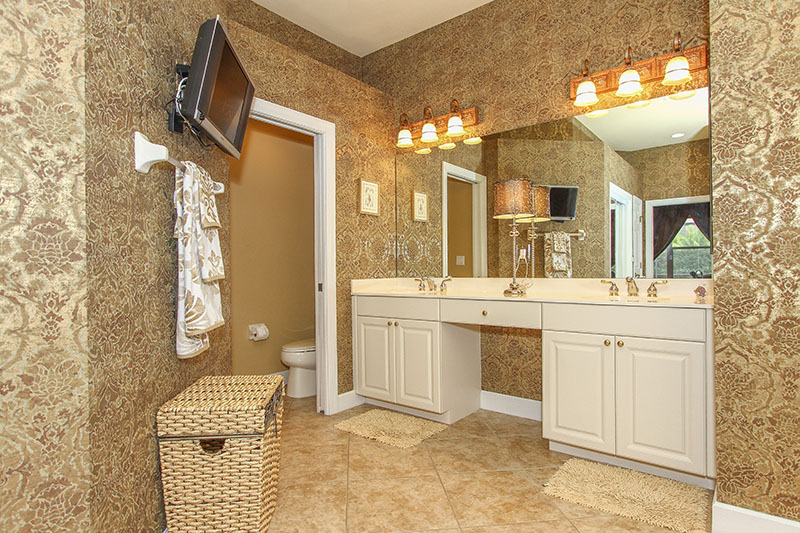 A separate water closet and walk in shower round out this bathroom. 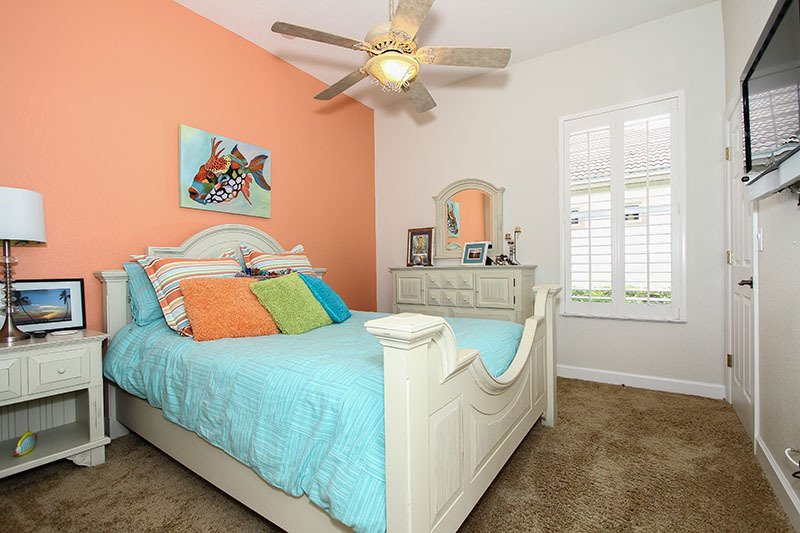 The guest bedroom features bright tropical colors with a full size bed and wall mounted flat screen TV. 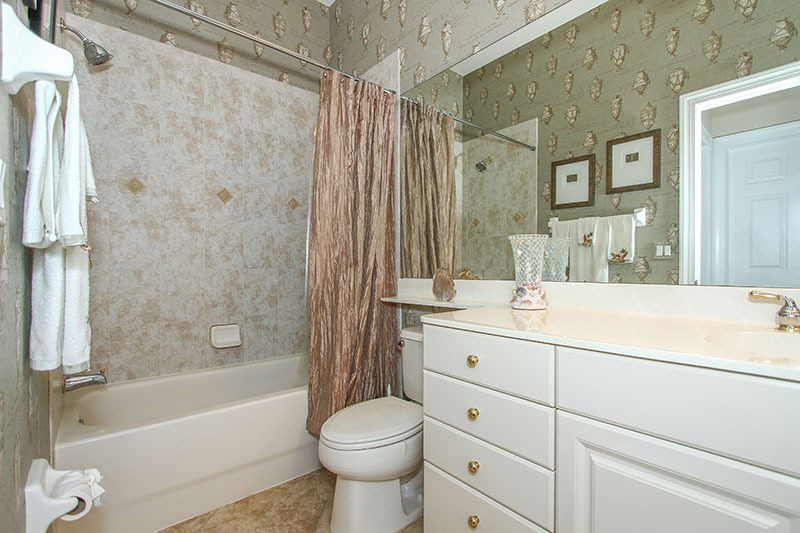 The guest bathroom is very versatile with a tub and shower combo. There is a laundry room with full size washer, dryer and sink off the 2 car garage. Guests will have access to 1 side of the garage. 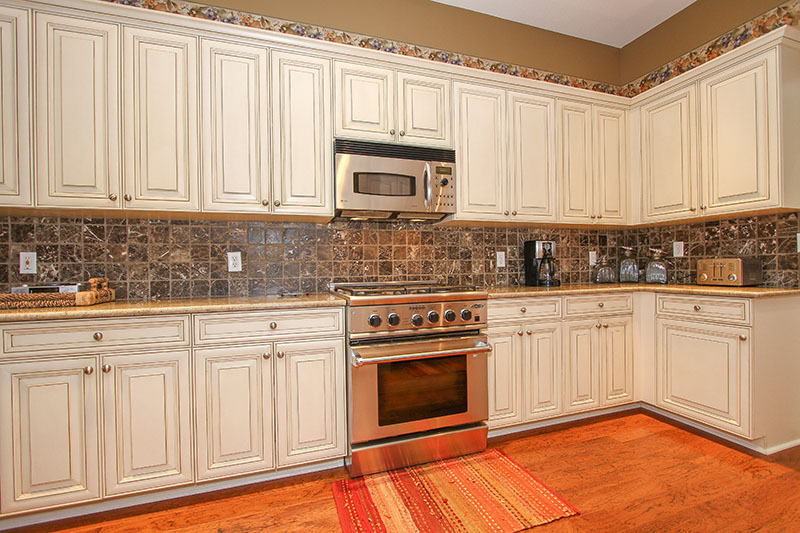 With granite countertops, stainless steel appliances and plenty of room, this is a kitchen anyone would love to cook in. 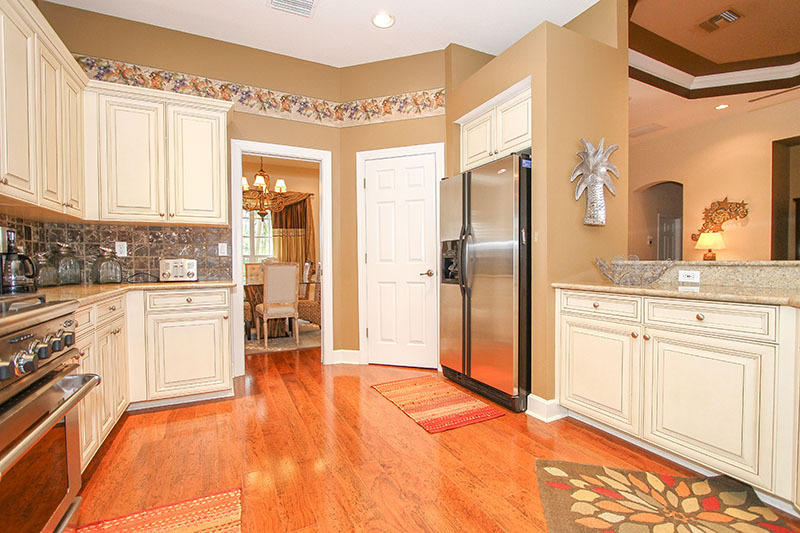 A large pantry for storage and a stove top that uses gas allows for quiet nights with home cooked meals. 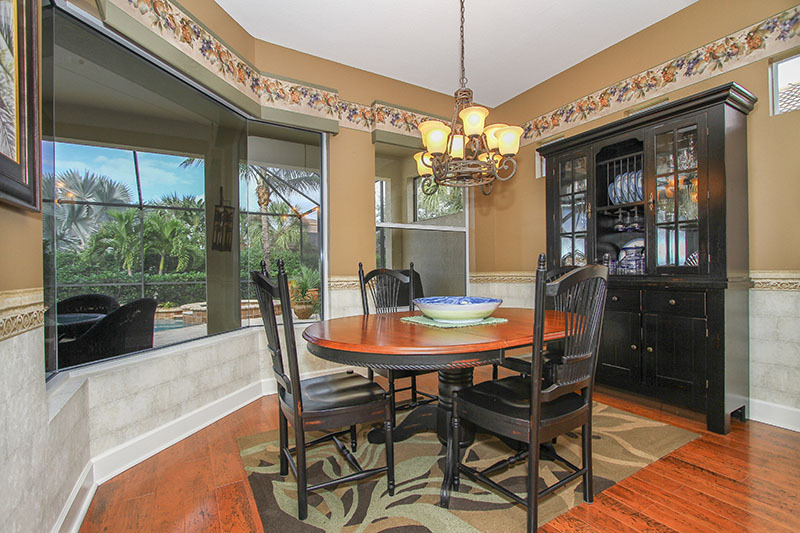 There is an eat in kitchen as well as a formal dining room off the kitchen. The private pool and spa allow for the ultimate in relaxation. 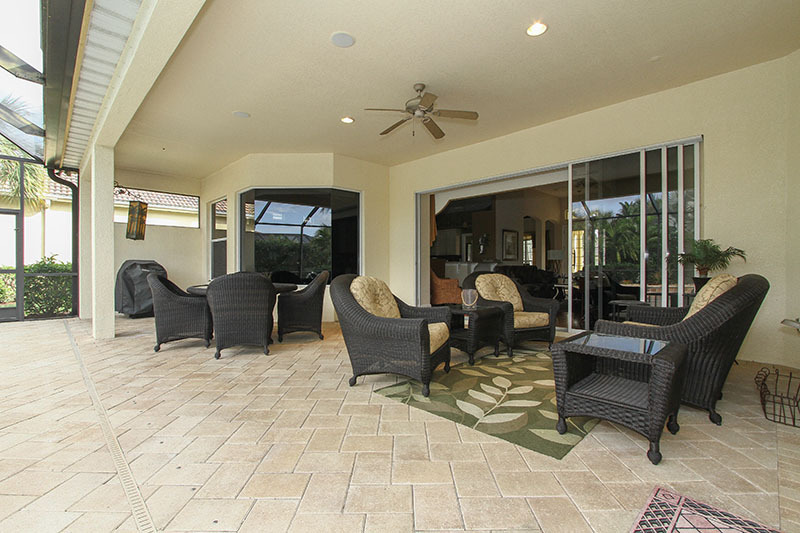 Take in the sun of the expansive screen in lanai. 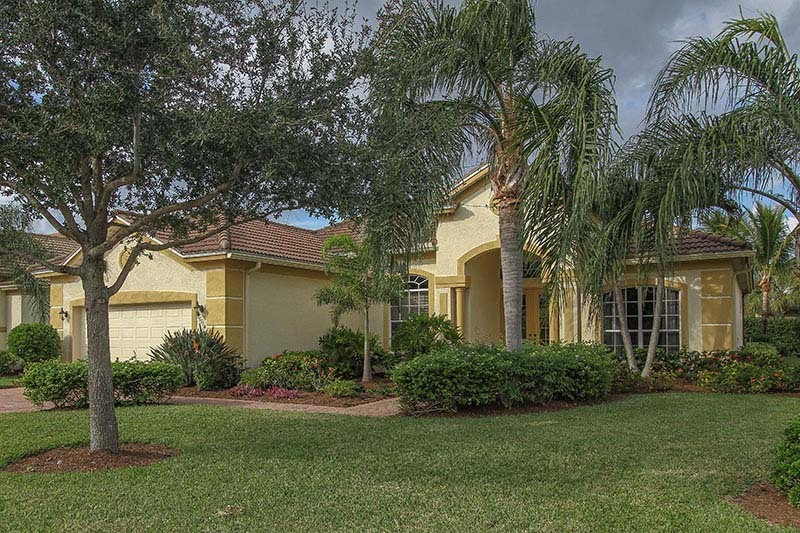 The home is located in the quiet and beautifully maintained community of Coco Bay in Ft Myers. The consists of 99 single family and 44 carriage homes, 2 lakes, a clubhouse, community pool & spa, fitness center, social room & library. 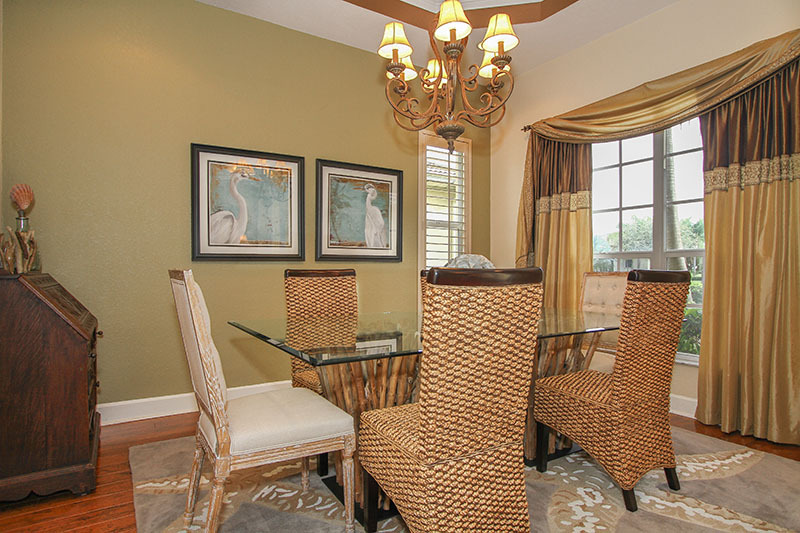 Located off of Summerlin Road, this community is a short drive to the area's most popular attractions. 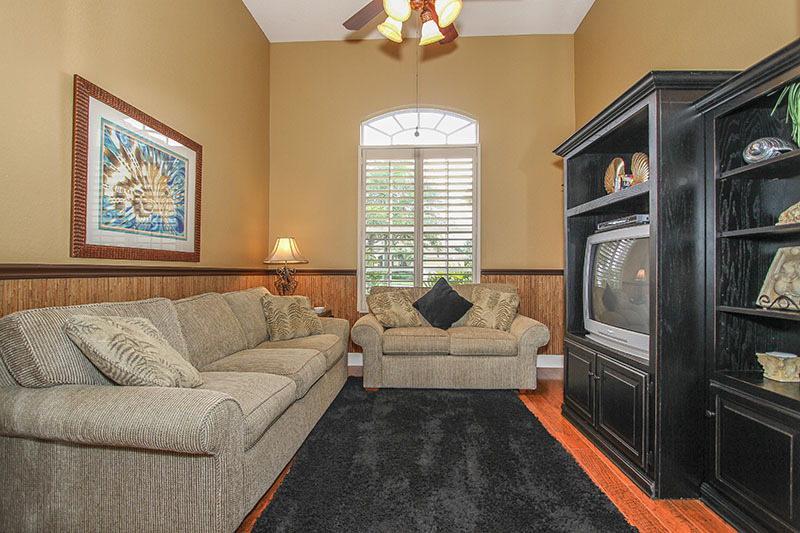 There are many restaurants, shopping and beaches just minutes away. Please contact me with information regarding Coco Bay Home.